Melissa Ginsburg is a poet and novelist. She teaches creative writing workshops in poetry and fiction, as well as courses in American literature and poetry as literature. 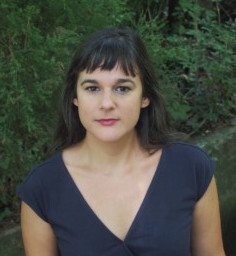 Her work has appeared in many magazines, including Fence, Denver Quarterly, The Iowa Review, Berkeley Poetry Review, and Kenyon Review. She has worked in editorial positions for several literary magazines including Gulf Coast and Yalobusha Review. MFA in Poetry, Iowa Writers’ Workshop, University of Iowa, 2005. BA in English, University of Houston, 2002. Sunset City, Ecco Books, 2016. Novel. Dear Weather Ghost, Four Way Books, 2013. Poetry collection. Double Blind, Dancing Girl Press, December 2015. Poetry chapbook. Arbor, New Michigan Press, 2007. Poetry chapbook. Grant from the Mississippi Arts Commission, 2012. Iowa Arts Fellowship, Iowa Writers’ Workshop, 2003-2005.